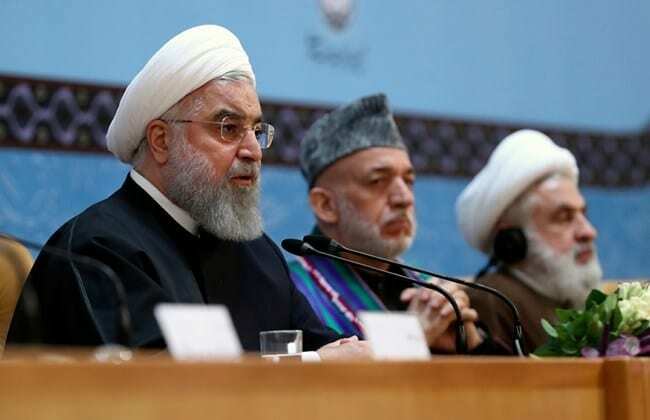 Iran’s President Hassan Rouhani has told the Islamic Unity Conference in Tehran that Israel is a “cancerous tumor in the region”. In some of his harshest rhetoric since he became President in August 2013, Rouhani said “the West” created a “fake Israeli regime [which[ killed and displaced the historical nation of Palestine”. We are not afraid of those who draw sword against Islam; hard days strengthen our faith. In times of war, there’s sometimes victory and sometimes failure, but if we stand for God, we will be the ultimate victor. Relying on foreigners is the biggest historical mistake; you gave a $450-billion gift to ensure your security? They said you were dairy cattle; at least do not accept open insults from the United States.